In its infancy, St. Michael’s Episcopal Church had very little money, no clergy and no building of its own. Those first worship services took place at St. James Episcopal Church, several miles away in Dundee. As the years went by, more families joined the church, and some much-needed funding soon followed. The cornerstone for a new church, this one closer to home, was laid in 1954. The following year, the church was given memorial bells and in 1961, stained glass windows were designed and installed. 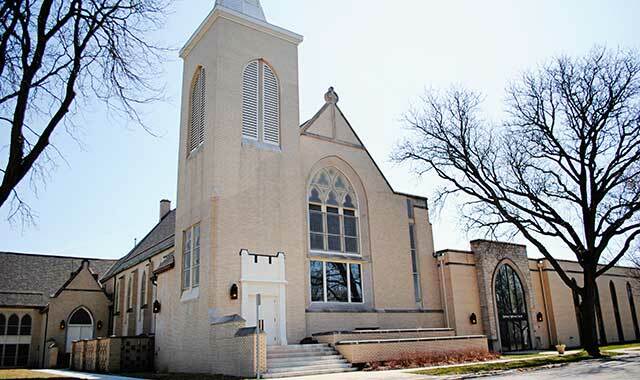 Not only has this church become a fixture in Barrington, but its members have given generously to their community. Since 2006, many church volunteers have woken up early on Thanksgiving to host a traditional dinner for community members who are alone or homeless. The majority of the food, including dozens of turkeys, is donated. The church also puts on the Little Red Wagon program, a collection point for food donations. Collected items are distributed to food pantries throughout the Chicago area. On a quieter level, members of the church’s Prayer Shawl Ministry knit and crochet garments that are given to members of the congregation, the community and connected families across the country, as a means of sharing the presence of God with those in need. The Rev. Jesse Perkins leads services Sundays at 8 a.m. and 10 a.m. A nursery is available for children under the age of 3. 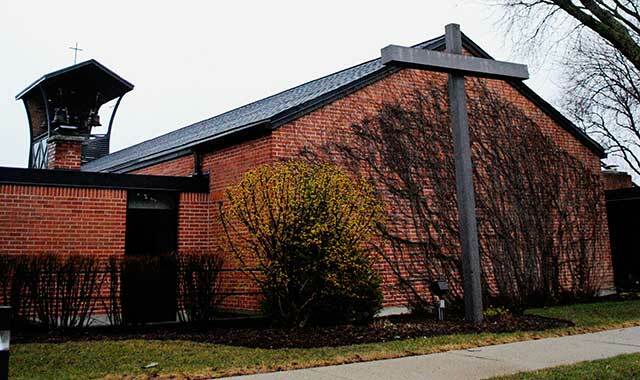 In 1872, a group of Swedish immigrants from Batavia formed the Swedish Lutheran Church, after traveling back and forth to worship in nearby Geneva. Six months later, they had formally organized, purchased property and begun holding services inside an old school. The small schoolhouse served the growing congregation until 1887, when it was torn down and replaced with a red brick church on the corner of Wilson and Lincoln streets. Additional improvements were made in the following years. A bell was added in 1904 and in 1948, the church was renovated. The steeple was torn down, an education wing was added, the church entrance was rebuilt and new brick was put on the building. Today, church members participate in numerous outreach efforts. Among other things, they put on a free community dinner the last Friday of each month. Meals include a main course, vegetable, side dish and dessert. All of the food is donated and up to 300 people are served. Members also volunteer their time every other month at Aurora’s Hesed House Homeless Shelter, a resource center that provides food, clothing and shelter to the homeless. Church volunteers donate, prepare and serve meals at the shelter. Sunday worship services led by the Rev. Steven Srock take place at 9 a.m. and 10:30 a.m. Sunday school is held at 10:30 a.m. This entry was posted on Tuesday, May 1st, 2018 at 11:59 am	and is filed under Mind & Spirit. You can follow any responses to this entry through the RSS 2.0 feed. Both comments and pings are currently closed.